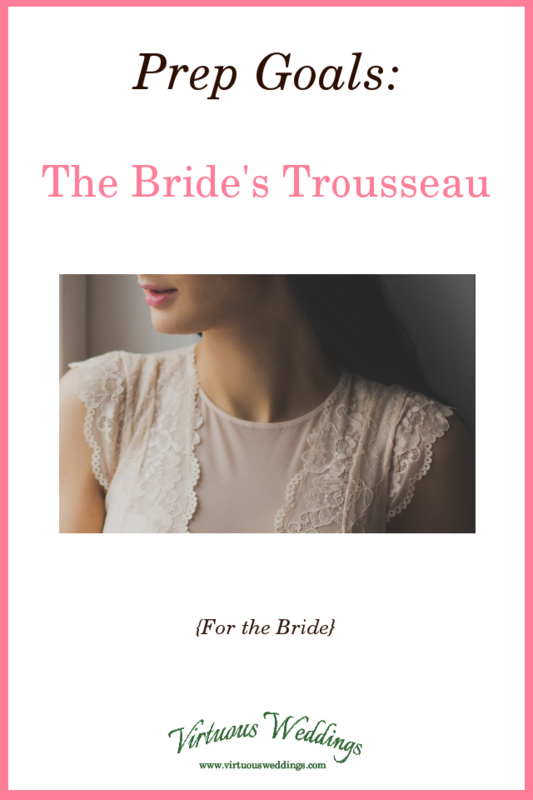 Trousseau is pronounced troo’ so or troo so’ (true-sew or true-sew), and it means “the special wardrobe a bride assembles for her marriage.” It can also mean everything a bride brings with her to marriage ~ clothing, linens, dishes, etc. ~ but I use it in the former sense. Everyone is different. Okay, you’re a little different just because you want to do this 😉 (me too!). But every trousseau preparing bride is different too. She’s going to have different ideas and needs, and she’s going to approach this in her own way. This is a time for personal reflection, personal evaluation, prayer, and even discussion with your man. What’s important to you? What do you value? What kind of new wife do you want to be? What’s important to your husband?What are his values and ideas? What is your understanding of God’s will for your role as wife? How does a trousseau relate to those things? WHY you want to prepare a trousseau. It isn’t strictly necessary (after all, you already have clothes to wear). Why does it appeal to you? What are your underlying motivations and intentions? What do you hope to achieve? Are you doing this partly for practical reasons or just for fun? What a trousseau means to you personally. What will it consist of? Your resources: time, money, skills. 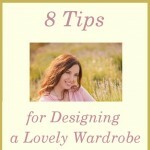 Everything under Dress and Wardrobe. Your personal style; you tastes and your man’s tastes. Where you’re going on your honeymoon and how long it will be. What’s already in your wardrobe. What other things are important to you (and your man)? Try to fit at least some of these in. What’s fun? The whole thing! A trousseau isn’t exactly essential. Be sensible and practical, but have fun! What’s easiest? Don’t get in over your head and make this a burden to you and everyone else. What’s convenient? What fits best into your life right now? How long is your engagement? 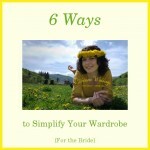 If it’s short, you won’t have a lot of time to prepare before the wedding. Choose carefully. How much time and energy will you have during your engagement to work on stuff?